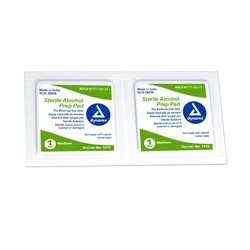 Medium, sterile, non-woven alcohol prep pads saturated with 70% isopropyl alcohol. Comes in a box of 200. 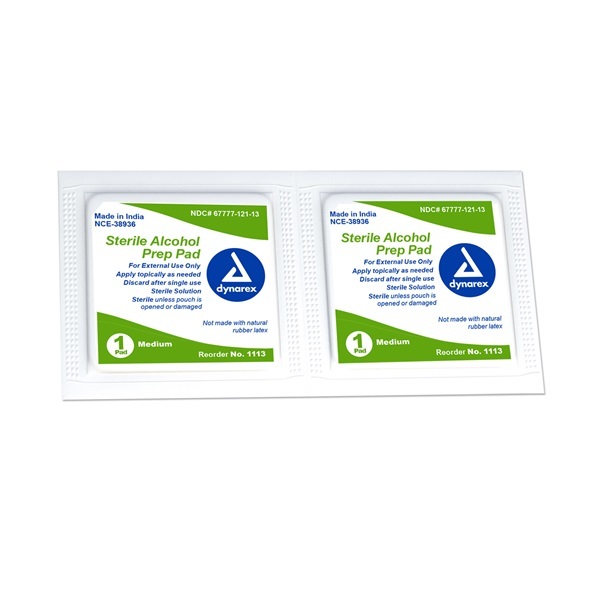 Manufactured by Dynarex. Length folded: 1.18 inches. Length unfolded: 2.36 x 1.1 inches.